Huddersfield based coal supplier Fitzpatrick Fuels stock a comprehensive range of house coal and smokeless briquettes. 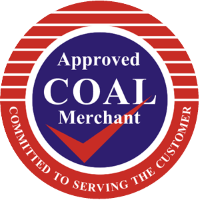 We stock our coal products based on quality and reputation to ensure our selection suits all. Our most popular smokeless fuels are; Excel, Supertherm and Homefire. We also stock Russian and Colombian house coal in doubles and trebles.